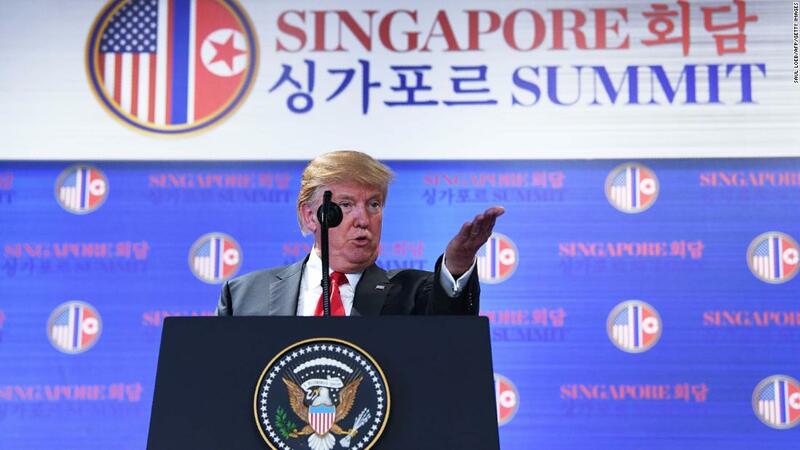 Sentosa Island, Singapore (CNN) Perhaps it was Kim Jong Un, as interpreted through his translator, who best summed up the historic summit between President Donald Trump and the North Korean leader in Singapore. The pool of print, television and radio journalists closely following the day’s developments on Sentosa Island attempted to question Kim as well. “Will you give up your nuclear weapons,” this reporter followed. After their working lunch, the two leaders strolled through the lush gardens at the summit site. Trump pointed down to the ground and Kim seemed to nod, playing along in what was a carefully choreographed moment. Reporters stood only a few feet away as Trump again declared the day a success. “Top of the line,” the President said, arguing the summit went better than his critics had expected. It’s not exactly clear how or when that change will come. “We’re starting that process very quickly. Very, very quickly,” Trump said at a signing ceremony. Using pens bearing the President’s name, the two leaders signed their agreement and, within minutes, said their goodbyes. 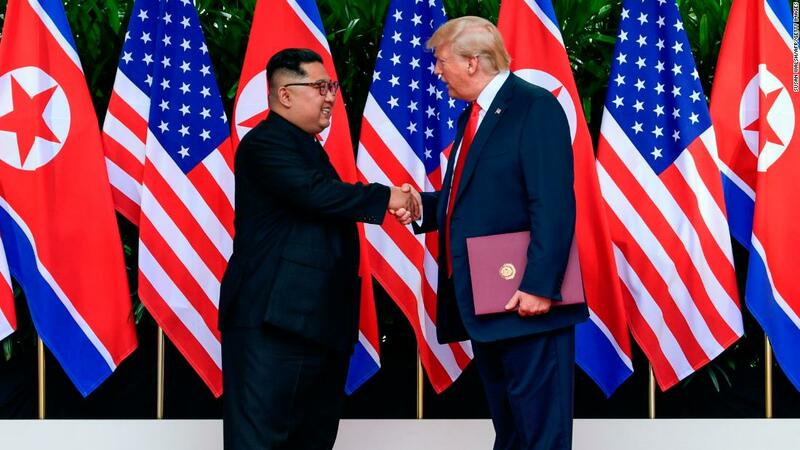 Trump, beaming over what seemed almost a bromance with one of the world’s most brutal dictators, said he would invite Kim to the White House.